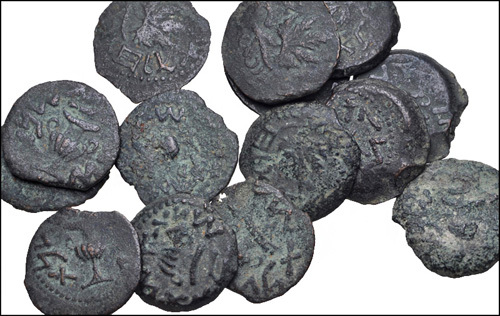 We have less than 100 of the Judaean Æ Widow Mites available from a hoard, which we need to limit to one per customer. Many people complained that only attendees at the WEC were able to purchase these coins. These coins are only available to American buyers. It is just impossible to ship internationally, even to Canada, due to customs. The hunt for taxes has become insane. 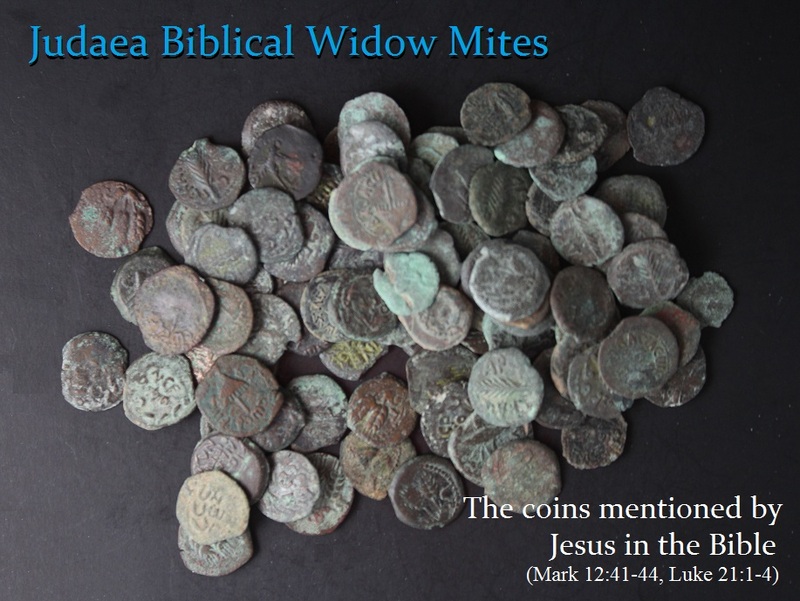 These Widow Mites are perhaps the most sought-after Biblical coins of all-time. They take their name from the Biblical lesson that Jesus makes there at the Temple. The bronze mite, also known as a Lepton (meaning small), was first minted by Alexander Jannaeus, King of Judaea, (103-76 BC) and was still in circulation at the time of Jesus. The Lesson of the widow’s mite was presented in the Synoptic Gospels (Mark 12:41-44, Luke 21:1-4), in which Jesus was teaching at the Temple in Jerusalem. The Gospel of Mark specifies that two mites (Greek lepta) are together worth a quadrans, the smallest Roman coin. A lepton was the smallest and least valuable coin in circulation in Judea, worth about six minutes of an average daily wage. The same religious leaders who would reduce widows to poverty also encourage them to make pious donations beyond their means. Jesus is actually condemning both the social system that renders her poor, and the value system that motivates her action, and he condemns the people who conditioned her to do it. Indeed, the Temple was destroyed in the year 70 AD. Hence, the widow’s gift to support the lofty clergy was not only misguided but for nothing for the great stones were indeed destroyed. We have an interesting hoard for the specialist collector Fine to VF, mostly with green bronze patinas.